Ten Speed Press, 9781607745020, 240pp. CHRISTIA SPEARS BROWN, PhD, is an associate professor of developmental psychology at the University of Kentucky. Her work on the impact of gender stereotypes on children and adolescents has been published widely in scientific journals and featured in numerous newspapers, magazines, local radio shows, NPR, and the CBS Evening News. She blogs regularly for Psychology Today in her column "Beyond Pink and Blue." She is also an expert panelist for the ACLU. 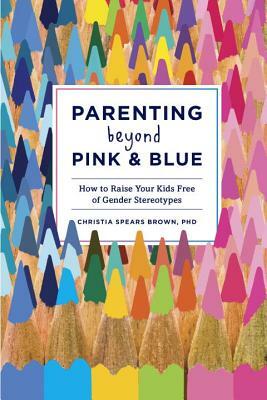 "Practical and research-based, Parenting Beyond Pink-and-Blue is a terrific guide for parents who want to do the best for both their sons and daughters." “Whether you are a parent who believes that boys and girls are ‘just different’ or a parent who believes that gender differences are all ‘just culture,’ you will find valuable science and advice in Parenting Beyond Pink & Blue."